With all of the division in our country today, I thought it might be nice to take a pause and look at our flag like I did yesterday. I was out for my walk on a beautiful spring-like day – the last day of January. The sun spread out its blanket of warmth while the winds blew as if practicing for March. I headed down the sidewalk and looked ahead and above. This flag was not still for a second. It twisted and turned as if to say, “Look at me!” I did. Then, I pulled out my camera and clicked the shutter several times. When I got home and started editing my photo, I noticed that the stars had become obscured – barely noticeable. Well, I thought, they represent the states, our division, and I don’t really want to focus on that, anyway. The stripes stood out in the forefront where they belonged. 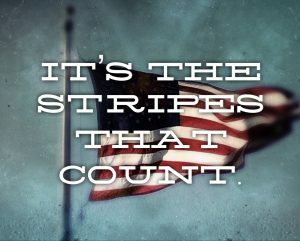 According to USFlag.org, “The colors of the pales (the vertical stripes) are those used in the flag of the United States of America; White signifies purity and innocence, Red, hardiness and valor,…”. This information reminds me of how our country looked to Jesus when it was still in “knee-pants”…before it became “educated” and in my opinion, too big for its britches! I don’t go around shouting my political views, but today, I want to shout out my patriotism – my love for a country that allows me to follow my first love, Christ. Think of the color white. Think of how it was put in our flag to remind us of purity and innocence. Jesus was pure. He was without sin, also and therefore, innocent; yet he bore the stripes on the fabric of his flesh. 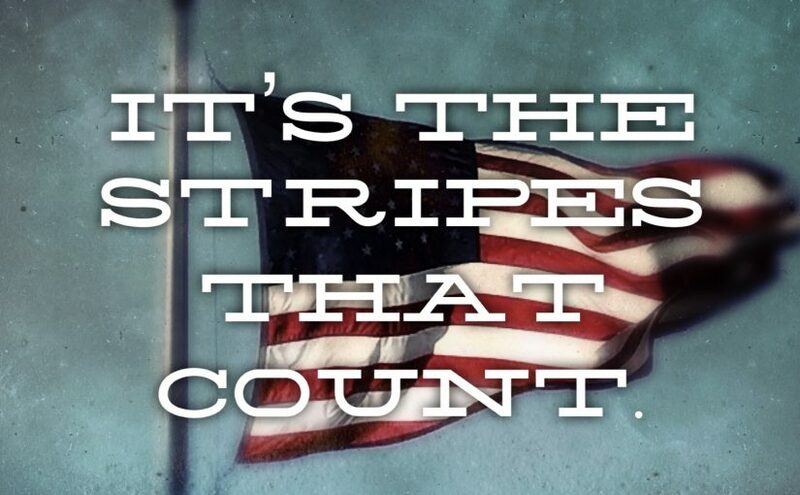 Those stripes ran red with blood. Red. Hardiness and valor. Strength. Think of the strength it would take to restrain yourself and your inborn human instinct to fight for your innocence; to allow yourself to be willingly nailed to a rough board like you were a human sign to all who passed by – a sign that you deserved this. Webster’s Dictionary (yes, I still use the paper kind!) says valor is: to be strong. Courageous. Worthy of Honor. This also reminds me of my Saviour. You see, once (I believe) our country, our patriots and forefathers looked to Jesus as a guide and for inspiration. I also believe that if we would stop, reflect, and remember our history and our heritage, using Jesus and His Holy Word as our inspiration, our country might come together again…each star shining in its field of blue.